“Mom” whipped up this fun, fast and deliciously healthy recipe with her little ones this past weekend! 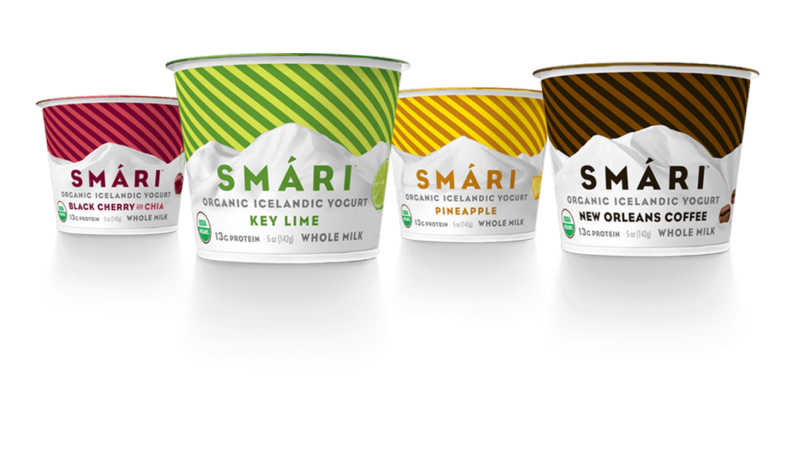 All it takes is a few minutes of prep time, and your kiddos will be able to create nutritious Mini FroYo Parfait Bites with minimal help! 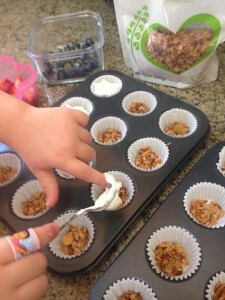 Line 2 mini muffin tins with liners. Prepare work area for little ones, setting out the diced fruit, organic yogurt, and granola in separate containers within reach. Sprinkle 1 – 1/2 tsp. 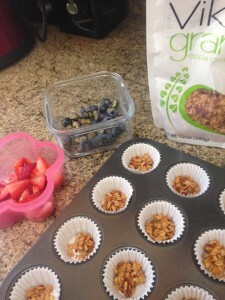 of granola on bottom of each muffin cup. Top with dollop of organic yogurt. 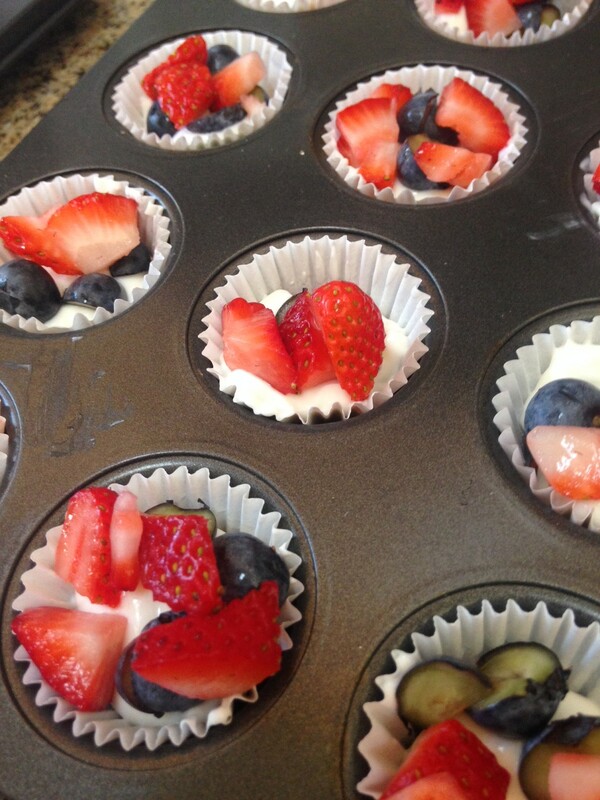 Place a small amount of fruit on top of yogurt, and once completed, place in freezer until frozen. We found that the FroYo Bites needed to be set out on a plate for a few minutes before being eaten so they were a bit easier to eat. Mother’s Day is this Sunday! 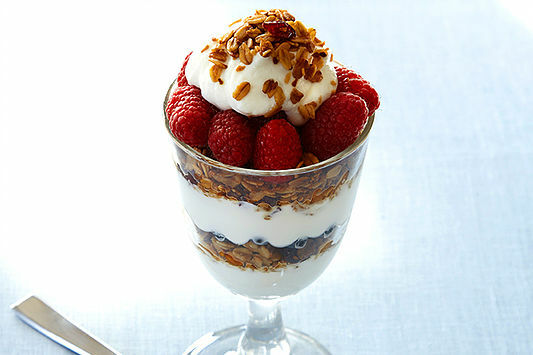 Create a deliciously healthy breakfast parfait as a sweet way to treat Mom when she wakes up in the morning! Place 2 ounces of yogurt in a tall glass. Pour ⅓ cup of granola evenly on top of the yogurt. 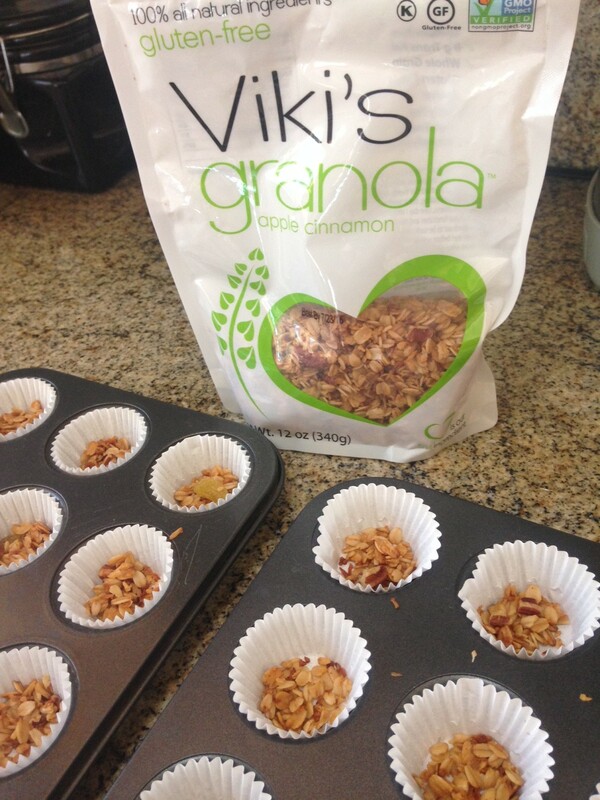 Add remaining 2 ounces of yogurt and granola on top. 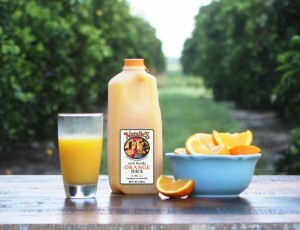 Today is National Orange Juice Day! 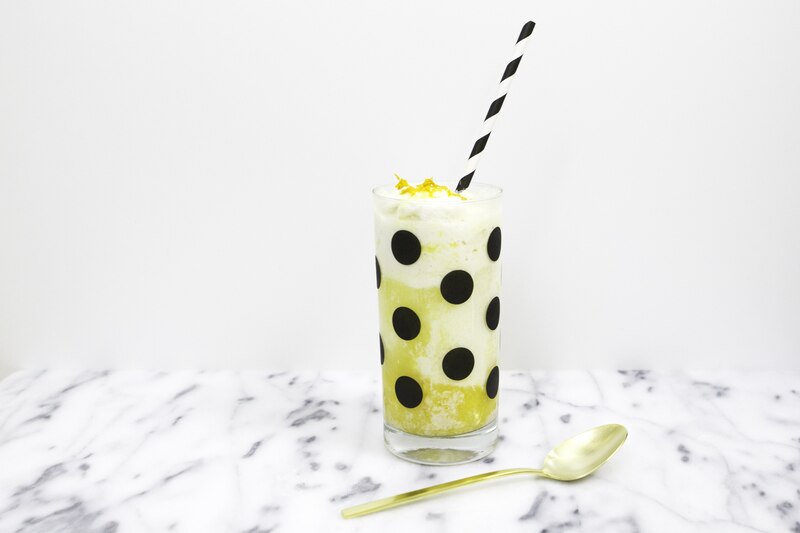 Treat yourself to an Orange Cream Float made with Natalie’s Orange Juice! For this recipe, which calls for vanilla ice cream, “Mom” chose instead to use So Delicious No Sugar Added Vanilla Bean Coconut Milk Dairy-Free Frozen Dessert. 1. Place 3 scoops of vanilla ice cream into a glass. 2. Pour Natalie’s Orange Juice over the ice cream until it’s about 3/4 of the way full. 3. Top with club soda. 4. Sprinkle 1 teaspoon of fresh orange zest on top. 5. Serve with a straw and spoon.